Posted April 17th, 2019 in Content. Tagged: document, editor, spreadsheet, team collaboration. Developed by Shishir Mehrotra and Alex DeNeui, Coda is considered to be the best alternative to the Excel spreadsheet. By designing Coda, the developers wanted to create a user-friendly document editor that would include both a word processor as well as a spreadsheet. The all-in-one web editor is designed in such a manner that users can easily hand-code a website. The Coda online tool contains its own unique modern formula language, which works to include various other services into the user’s spreadsheets. According to its founders, Coda is the perfect tool for core teams who need to share information regularly but also want to tweak it on their terms and conditions. Coda’s online operations help the user to edit different types of codes in a clean and simple editor. Another benefit of opting for Coda is that it becomes easy to access FTP. The basic, simple functioning of the tool is what attracts users many times over. If we take a detailed look at Coda, at its roots, it is a text editor that works with users to generate straight away colors, gradients and many more even as they type in their text. Other important features of Coda include syntax highlighting for different languages, code folding, and auto-completion of different projects. All these features go a long way in helping users write/create web codes as per their preferences. Coda also has on offer indentation guides, automated tag closing, fast commenting and shifting of a wide variety of codes. With all these features in place, Coda can be put to various uses like tracking bugs and viruses, improving customer relationship management software and many more. Coda works efficiently with clients to create codes right from the inception to the final product. With some assistance from Coda, users can also edit codes created by other people. In this way, Coda offers variety and innovation to all its clients. The main highlight of Coda is its Touch Bar, which makes the change between editor and preview very easy. 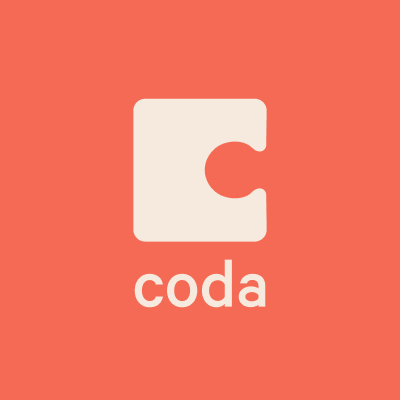 Coda has on offer vertical indentation guides that make coding easy for the user. Coda online tool has different customized speeds for syntax highlighting and symbol parsing. Vertical indentation guides are another important feature of this coding tool, which makes the coding work simple and easier. Coda helps users link their numerous documents to each other without any confusion. The online tool also offers live data, which is periodically and systematically updated. Coda online tool comes equipped with color-coded traditional/visual tabs, which makes coding much more interesting for the client. Coda’s all-inclusive file management system aids users in managing their different files at their convenience from just about anywhere. Clients can also keep track of any changes made for remote publishing, with support for Git and Subversion. Coda has on offer a Webkit Preview that helps users preview how their final codes will look like. The WebKit Preview includes a web inspector, debugger, profiler, and an AirPreview. Other important components of the Coda tool include an in-built Terminal, which leads to a local shell or SSH., a MySQL editor for fast editing purposes and many more. Coda has been developed as a cross between Google Docs and Excel with the addition that one can build apps with it. When you open Coda, it begins with a table, which can be simple like a list or as complex as a database depending on the usage. As the data is on a table and not on a spreadsheet, the data can be referred to anywhere in the document. Coda also allows one to view the same data in many different ways. This means that every team member can have their view and express it. Users can improve their codes by using sliders and selectors. They can even embed a map for better results. After the codes are created, make use of Coda’s Webkit preview, which includes a web inspector, debugger and profiler, to take a final look at the codes. Once the preview is okayed, the codes are finalized. Now let us take a look at some of the pros and cons of using Coda online tool. Reliable File Management: The biggest advantage of using Coda is that it has a highly integrated and reliable file management system that lets clients efficiently handle their files from anywhere; like from open local files or edit remotely on FTP, SFTP, WebDAV, or Amazon S3 servers. Keeps everything in sync: Another pro of using Coda is that it keeps everything in sync and users find it easy to shuffle between their Macs and iPads. This is mostly due to its FTP capabilities and Panic Sync functions. Better Code Editors: Users worldwide have pointed out the fact that Coda could do with better and improved code editors like Sublime Text 3, Microsoft VS Code. These are fitted with multiple selections and support full app-scope color themes, which work better than it. High Costs: Another disadvantage pointed out by users is the high costs incurred while installing the program. In spite of certain small issues, the overall verdict on Coda is that it is a useful tool as all the applications open in one window, so working becomes all the easier. Coda also makes it easier for users to sync their sites, passwords, and private keys to all their electronic devices without spending extra. We give the tool a thumbs up! 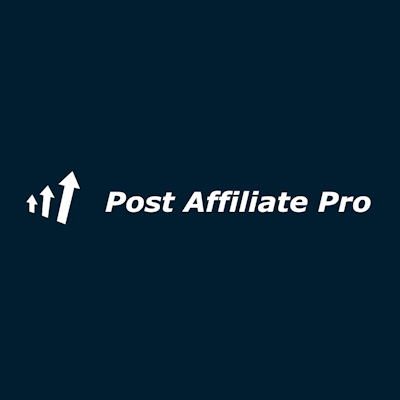 Affiliate marketing software Post Affiliate Pro gives your website referral system, which increase your business profits while you sleep.